People with asthma can suffer greatly when they have an asthma attack. The air passages in the lungs swell which causes difficulty in breathing. Individuals with asthma often have wheezing due to partially obstructed airways. The chest tightens, and the person struggles to breath. Asthma is very prevalent in children as well as adults. Allergens, such as pollen, smoke, and pet dander can cause such irritation in the airways that the mucous membranes produce large amounts of mucus to try and trap the irritants. 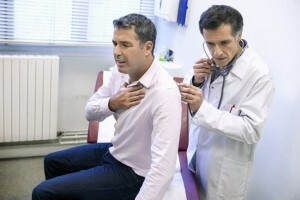 As a result, the individual may have coughing, shortness of breath. Obstructions from mucus can prevent air from reaching the alveoli of the lungs where gas exchange takes place. Asthma can be a life threatening condition for man people. The air inside your home is likely to be filled with more pollutants than what you would find in the air outside of your home. Inside your home, you will have dust, dust mites, and bacteria floating in the air. If there are smokers in the home, you also have second hand smoke to contend with. If you have pets in the home, you also have pet hair and pet dander to contend with also. Pet dander is a common cause of asthma symptoms, as is smoke and all of the other pollutants in the air. Often, people who have allergies will also have asthma. It isn’t at all uncommon to have asthma symptoms combined with sore throat, sneezing, runny nose and red and runny eyes. Having asthma can wear you out physically as your body tries to fight off the allergens causing the asthmatic response. When you have a pet inside the home, it is important that the pet dander is kept down to a minimum. You may need to bathe your pet fairly frequently, and vacuum regularly. Vacuuming is only effective if you have a good filter that will catch the pet dander and other allergens. Some vacuum cleaners come with a HEPA filter, and there are also HEPA filters you can purchase to put onto your vacuum cleaner. Air purifiers strategically placed within your home will also help reduce the frequency of asthma attacks. The air purifiers should also have HEPA filters, because these filters are able to catch the smallest of particles floating in the air. It is good to have an air purifier in your bedroom and at least one air purifier located centrally in the home. If you have other family members with asthma, it would be good to have an air purifier in their bedrooms also. Mold is another organism that causes havoc with asthmatics. Mold releases budding spores into the air. The spores are microscopic and can easily be breathed into the lungs. Mold likes moist places; your bathroom and refrigerator are two places where mold likes to grow. Green mold is relatively harmless, except that it can cause asthma attacks when breathed into the respiratory tract. Black mold, on the other hand, is poisonous. Professionals should be called to get rid of black mold. Black mold has a telltale odor which smells very musty. You can get rid of mold by changing the environment it lives in. Since mold likes moist places, you need to put a dehumidifier in the bathroom and any other moist place in your home. It is important to clean your refrigerator frequently, and be sure to clean around the seals where mold likes to grow. If you see the mold on the inside of the refrigerator door, every time you open the refrigerator door you are letting spores into the air you breathe. Aside from placing air purifiers in your home, you can also put special filters into your central heating and air units to catch the allergens in the air. If you have a window air conditioner, you can also get special filters for them also that will catch particulate floating in the air. By filtering the air you breathe, you will greatly reduce the number of allergens in your home environment. Is it Okay to take Antihistamines when you have Asthma Symptoms?